How do I send a message to my List? Under Messages, click “Create Message” to create your new message. Follow the steps to create and send your message. 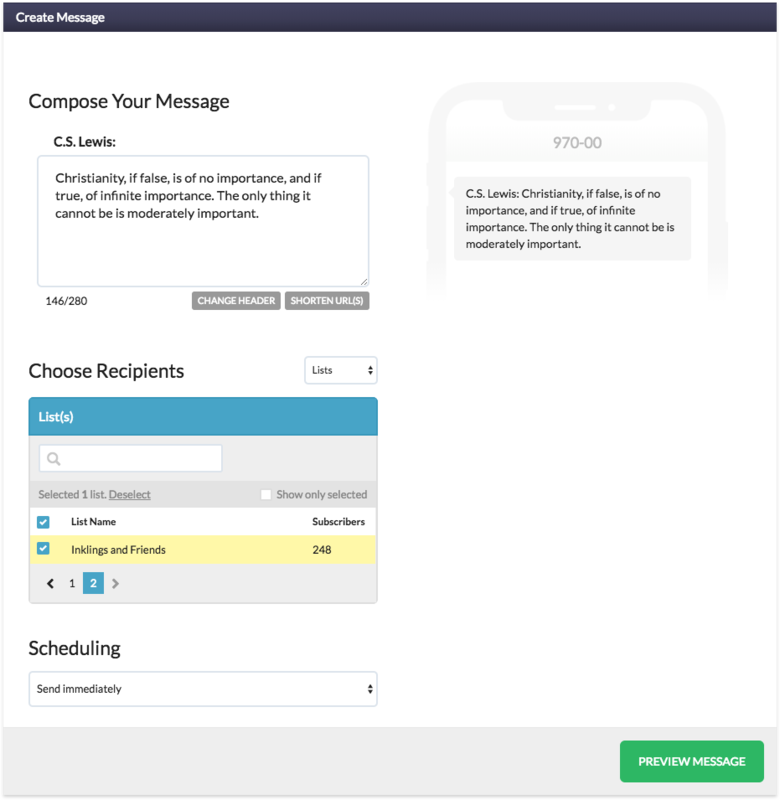 Once you've typed out your message you can select which specific Lists to send to by clicking the checkbox to the left of the List. You can also send to only a few individual subscribers.